8-year-old Joe Maldonado is a boy. Joe is transgender. Joe has been attending school as a boy for over a year. About a month after joining Cub Scout Pack 87 in Secaucus, New Jersey Joe's mother, Kristie Maldonado was contacted by a scouting official who informed her that Joe was ineligible because it is only for boys. Mrs. Maldonado tried to explain that her son is a boy but the guy was cocky and arrogant. He simply refused to even listen to what she was trying to explain. Not one of the kids had any problem with Joe. Some idiotic parent complained. Exactly what danger Joe posed to his or her son is unknown. It is safe to assume that the parent had a religious objection coupled with ignorance. 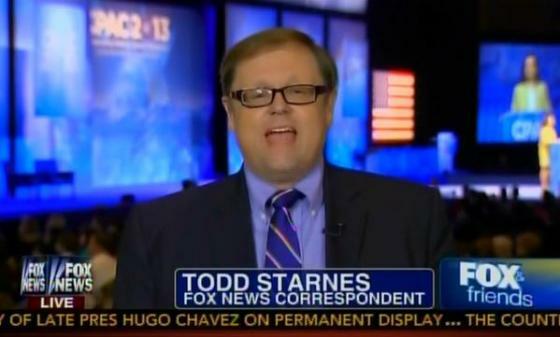 Todd Starnes is Fox News' culture warrior and religious ignoramus. He writes: “Cub Scouts Facing Controversial 'Transgender Crisis'.” “Crisis” means two things. Someone is different and that difference is incompatible with Starnes' literalist take on scripture which amounts to selective observation unless he is into murdering bratty children and … all the rest of the Bronze Age nonsense that they conveniently forget about. I am pretty sure that Mrs. Maldonado doesn't much care about Starnes' opinion. Furthermore, Mr. Starnes is apparently a mind reader because he has been able to ascertain Mrs. Maldonado's motivations for bringing this matter to light. Like many conservative Christians Starnes is enamored of his own self importance. Intentionally using the wrong pronouns for a transgender person is exceptionally disrespectful. Parents of trans children have said that it does violence to their kids. We get it — Starnes does not approve. Using the wrong pronouns is a petty way to demonstrate that disapproval. Starnes' approval was neither solicited nor required. It is that sense of self-importance that makes Starnes think that his approval is indispensable when it is, in reality, irrelevant. “Gender identity isn't related to sexual orientation,” BSA spokesperson Effie Delimarkos told the New York Daily News. My coffee pot makes more sense than Starnes. The child was kicked out because he is a transgender boy which means that he was kicked out because he is transgender. The guy from the Boy Scouts is correct in that gender identity is not sexual orientation — a difference that seems to confuse many religious conservatives. Nevertheless the same principle should apply. Joe just wants to have some fun with the other boys. Why on earth does it matter that he is trans? “Genderless?” There would be no controversy if we just left it to the kids to sort out. Starnes is determined and persistent in characterizing the offended Christians as victims. The real victims are the kids like Joe who find themselves unfairly excluded. I doubt that the Boy Scouts want to revisit Boy Scouts of America v. Dale (Evan Wolfson, by the way, represented Dale). I would think that Joe Maldonado actually has a better case than Dale because the Scouts would have to demonstrate that “the presence of that person affects in a significant way the group's ability to advocate public or private viewpoints.” I suspect that the Scouts will make the logical and kind decision here and avoid costly litigation. Why is it so damned difficult to write “transgender girls” instead of “boys who identify as girls?” The answer, of course, is that this just one more petty way for Starnes to demonstrate his gratuitous disapproval. And what, exactly, was sacrificed in allowing gay boys to be Scouts? Starnes uses tolerance and diversity in the pejorative. In point of fact those are important values that the boys will take with them into adulthood. Both are explicitly Christian organizations. Trail Life effectively (yet unofficially) discourages non-Christians from joining. These are religious groups. They are attractive to a certain kind of parent. I am sure that they appreciate the plug for parents who disapprove of LGBT people. I find it interesting (although expected) that Starnes does not provide a single reason for excluding a trans boy from the Cub Scouts. We are left to assume that it offends his Christian sensitivities. We are becoming kinder and fairer; Starnes cannot cope.